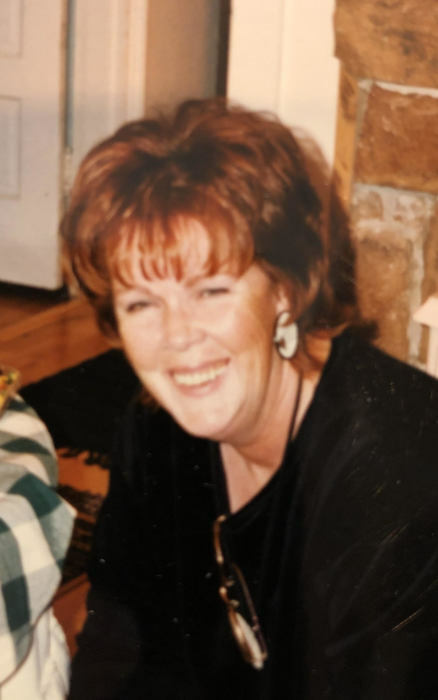 Myrna Ann Shields Jones returned home to her Heavenly Father with her daughter by her side on April 13, 2019 after a hard fought battle with Dementia. She was the first born to Harvey and Maxine Shields on January 15, 1942. She graduated from Tooele High School in 1960 and married Donald H. Jones on June 17, 1960 in the Salt Lake Temple. They later divorced. Life is a gift of which Myrna cherished and she didn’t allow her life to be idle! She worked as a civilian at the Tooele Army Depot and retired, but couldn’t stop working and serving her community. Ron Allen Consulting Firm kept her busy until she became a full-time administrator for the North Tooele County Fire Department where she worked as a firefighter and EMT. This was an easy stepping-stone for her since, earlier in her life, she served as a volunteer fire fighter at the Pine Canyon Fire Station. Myrna loved her community and was always serving and working for and behalf of others each and every day. Myrna was an active member of The Church of Jesus Christ of Latter-Day Saints. She often held multiple callings at the same time. One of her favorite callings was being a chorister for primary. Sports found Myrna too! If Myrna wasn’t fighting fires or singing with children, she could be found at the Erda Ball Park where she spent some of her greatest years! As a single mother, she never let her vulnerability show. Myrna knew how to have fun, loved music, dance, and adventure. She was the kind of mom who became a friend and a leader. Myrna will be remembered as a strong woman and one who would accomplish everything she put her mind to. Those who were blessed to have Myrna as a part of their lives knew she was always the first to help someone in need and that she was as “tough as nails”. Myrna is proceeded in death by her parents Harvey and Maxine Shields and a beautiful niece, Mandy Lynn Shields. She is survived by brothers Rex (Diane) Shields and Wes (Merle) Shields, a sister Kaye (Dennis) Cook, a daughter, DeLene (Efrain) Olivares, her four grandsons, one grand-daughter, and many nieces and nephews whom she always loved. Services will be held at the Pine Canyon Chapel (2032 Churchwood Rd) on Friday, April 19th with a viewing from 9:00-10:30 am and services at 11:00 am. Following will be the burial and a luncheon for family and close friends. The family would like to give special thanks to Jonothan Gonzales her favorite CNA and all the amazing nurses and aides with Rocky Mountain Hospice care.